Spray Grass Australia uses innovative techniques grounded in science to deliver effective, environmentally friendly revegetation, erosion and dust control solutions to Australia’s mining, oil & gas, civil and infrastructure industries. It is critical that soil stabilisation, revegetation and site rehabilitation works are delivered effectively and efficiently with a focus on long term sustainable outcomes. We are dedicated to solutions that are tailored to Australia’s needs, and are moving towards innovative products to revegetate some of the most degraded and depleted soils in the country. The products we use have primarily been developed in Australia in consultation with industry leaders and have been proven in the field to rehabilitate even the most damaged soils. Our products are far safer than traditional erosion control methods, especially when installing on steep slopes and inaccessible areas. The utilisation of drones in our processes has allowed us to gain better and deeper insights to more accurately plan and manage our rehabilitation projects. By providing the option of Rehabilitation Performance Monitoring through the use of multispectral and imaging cameras and sensors provides out clients the opportunity for advanced analytics for more accurate performance data. 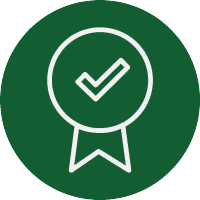 Spray Grass Australia has achieved certification for its safety, environmental and quality management systems to ISO and Australian Standards. 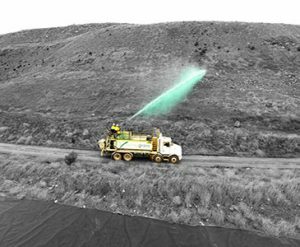 It is because of this that Spray Grass Australia provides unparalleled and trusted revegetation, erosion control and dust suppression solutions across Australia. We understand that our clients need more that a ‘spray and pray’ methodology which is why we utilise innovative techniques grounded and backed by science to overcome this. We research, implement and market leading edge solutions that are tailored to Australia’s climate and our client’s needs. 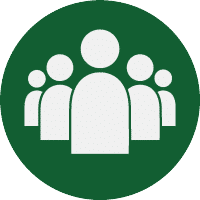 We are committed to providing a workplace that protects the health, safety and welfare of all our team, including clients, contractors, and visitors; Everything we so relies upon the safety of our workforce and the communities around us. We care about the safe management of the environment. Its more than what we provide, it’s what we think and how we act; It’s not just fixing an issue, its prompt service, communication and knowledgeable information. We are committed to excellence by upholding the standards we set for our company and through the certified systematic and disciplined management of our projects. We aim for quality outcomes. We believe in doing the right thing; we do as we say. We conduct business with the utmost professional behaviour and ethics. We don’t believe in cutting corners. We value transparency, honesty and ethicality in all interactions with our clients, personnel, contractors and the public. We can accomplish more together. We take the strengths of each individual and leverage off the knowledge and experience of each other. We are dedicated to building the capability of our team and have sourced the most experienced agronomists, horticulturists & soil scientists in our industry. Our team have specialist environmental backgrounds and undergo continuous training to deliver the best solutions to our clients. Innovation We understand that our clients need more that a ‘spray and pray’ methodology which is why we utilise innovative techniques grounded and backed by science to overcome this. We research, implement and market leading edge solutions that are tailored to Australia’s climate and our client’s needs. 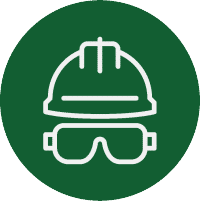 Safety We are committed to providing a workplace that protects the health, safety and welfare of all our team, including clients, contractors, and visitors; Everything we so relies upon the safety of our workforce and the communities around us. We care about the safe management of the environment. Excellence It’s more than what we provide, it’s what we think and how we act; It’s not just fixing an issue, its prompt service, communication and knowledgeable information. We are committed to excellence by upholding the standards we set for our company and through the certified systematic and disciplined management of our projects. We aim for quality outcomes. Integrity We believe in doing the right thing; we do as we say. We conduct business with the utmost professional behaviour and ethics. We don’t believe in cutting corners. We value transparency, honesty and ethicality in all interactions with our clients, personnel, contractors and the public. One Team We can accomplish more together. We take the strengths of each individual and leverage off the knowledge and experience of each other. We are dedicated to building the capability of our team and have sourced the most experienced agronomists, horticulturists and soil scientists in our industry. Our team have specialist environmental backgrounds and undergo continuous training to deliver the best solutions to our clients. Our well-trained and highly experienced team have specialist environmental backgrounds and undergo continuous training on the safe and effective use of our equipment and products. 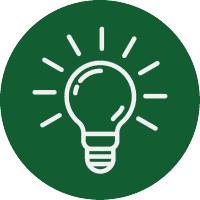 As part of our team’s dedication to a solution that benefits the environment as much as it does your budget, we pride ourselves on our ability to provide advice on guaranteed results. 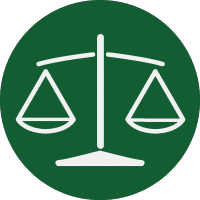 You can rest assured that our expertise and advice is sound and that all parties involved are protected under our Professional Indemnity Insurance. We ensure that our projects utilise the expertise and experience of qualified professionals. Our team is committed to providing a professional, scientific and proven erosion and sediment control solution. Learn more about our innovative and cost-effective solutions.